Widely recognised as a successful business leader, winning the prestigious Ernst and Young Entrepreneur of the Year Award in 2003, Noel brings a wealth of experience to our team. Noel is also a member of the Auckland Medical Research Foundation. 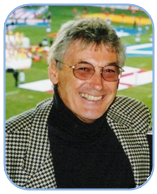 Noel’s other activities include being Managing Director of Hydraulic Fluid Connectors Ltd, Chairman of Heavy Engineering Research Association, Executive Chairman and Director of NZ Freshcuts, Sun Sprouts and Fresh A Peel, Chairman of Fraisbon Foods, and past President of New Zealand Baseball. 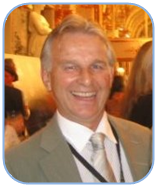 Noel also sits on the Board of the New Zealand Engineering Federation, and is a member of the World Presidents Organisation. Emmet is currenty a company director, consultant and business advisor. He served as Executive Director of Brambles – a leading global provider of support services, operating in almost 50 countries and employing approximately 28,000 people. Emmet has a long history of successful strategy development leading to implementation, and has managed start-ups in many countries. Emmet has held directorships in New Zealand, Australia, The United Kingdom, Asia, Europe and The United States in the past 20 years. He currently holds directorships at Mainfreight Ltd, Ports of Auckland, Burgerfuel, Auckland Regional Holdings and is Chairman of New Zealand Rental Groups and Smart Environment. MyPractice is led by Dr Ashwin Patel MB ChB (Otago) Dip Obs (Ak) FRNZCGP (Dist). Ashwin is a practicing General Practitioner in Parnell, Auckland. 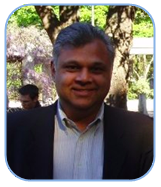 Ashwin has extensive experience in the New Zealand health sector and a passion for medical informatics. Shila has been at the helm of MyPractice since the company began in 1994. 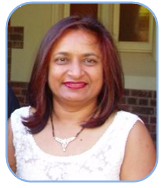 With a background in Haematology and microbiology, Shila has been a practice manager for fifteen years. Shila is the finance manager, and manages the help desk as well as supervising training.